One of the coolest things about the Nintendo Switch compared to other gaming consoles is the portability factor. You can take it with you and play games on the go and when you are home you can just dock it and play on your TV. But what if your TV isn’t available? Maybe your wife is watching Netflix, or maybe there is no TV where you are. The OJO projector is here to fill this niche. 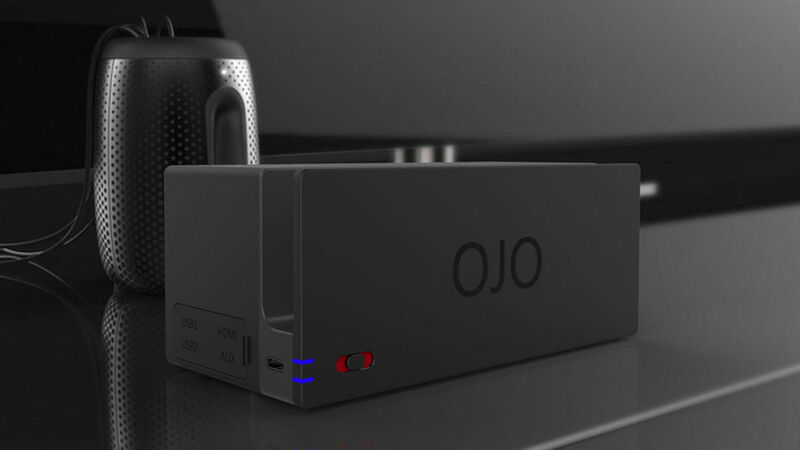 The OJO is being called the world’s first projector for the Nintendo Switch. You just dock the Switch and project your game onto another surface, like the wall. It claims to be able to project images as large as 120-inches at 200 lumens, and it has a 20,000mAh battery that lets you charge the Switch on the go, and other mobile devices too. This device is sure to be handy for gamers on the go. Other features include an HDMI input so you can use it with your laptop, and built-in stereo speakers. The OJO isn’t available for purchase just yet, but its creators have plans to launch it on crowdfunding platforms soon. The future of gaming is being about to console game anywhere, anytime, so expect to see more similar devices soon.